LONDON -- Britain's biggest trade union, Unite, said it was suspending further strike action at BMW's British plants so that workers could consider a new offer from the automaker regarding pension provisions. Last month, Unite said it would hold a total of eight strikes at four sites, including the Mini and Rolls-Royce factories, after 93 percent of employees backed industrial action in protest at plans to close the firm's final salary pension schemes. "The planned strike action will be suspended while members consider BMW's offer over the coming days," National Officer Fred Hanna said. 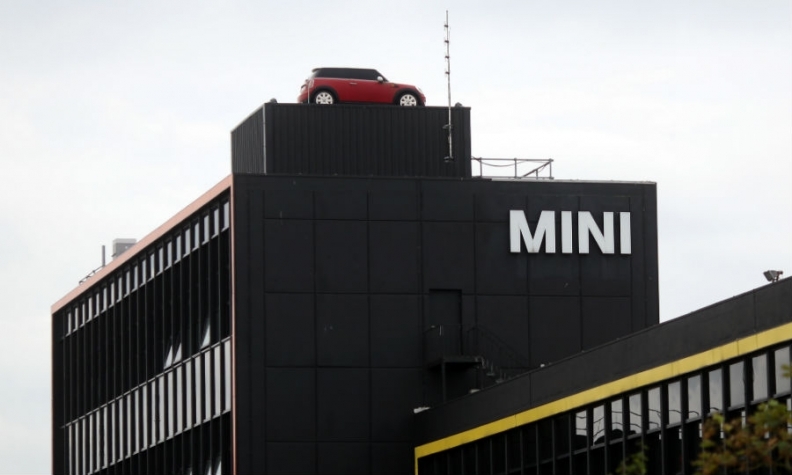 "While Unite is not recommending the offer, as it will have different outcomes for different people and their pensions, members should be proud that by standing together they have forced BMW into making this offer," Hanna said. Both Unite and BMW said on Wednesday they would not comment on the details of the new offer until all relevant parties had been informed. "We believe the offer to be fair and in the long-term interests of both the company and all our employees," a BMW spokeswoman said in an emailed statement.